This chapter concludes the book by providing a comparative analysis of the collaborative projects described in the foregoing chapters. 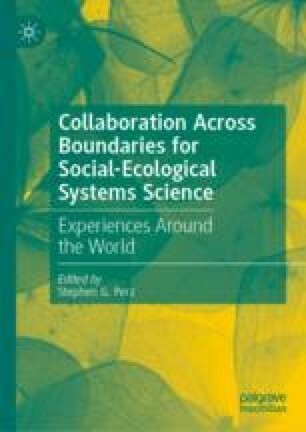 The premise is that the projects largely had to learn by doing about how to effectively collaborate across boundaries to pursue social-ecological systems (SES) science and outreach. The chapter therefore focuses on key insights, shared challenges, factors affecting the difficulty of challenges, noteworthy strategies to address challenges, and recommendations for future teams preparing to pursue collaboration across boundaries. Each section features salient contributions from the teams on the collaborative projects, noting similarities and differences in their experiences. The book concludes with a final reflection about the strategic importance of the decision to embark on the enterprise that is collaboration across boundaries.